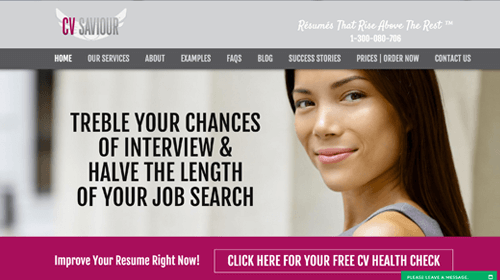 CVSaviour.com.au has got a motto that summarizes them perfectly: “Resumes that rise above the rest”. At first sight, there are many reasons to choose their service. They are the resume writing service in Australia that testes your resume using the ATS technology and makes sure it passes. Besides that, you can get a free CV health check. Besides that, you should also know that they argue to have 19 years of experience as professional resume writers, and a couple of awards that were only given to people who know what they’re doing. When it comes to pricing though, take note that their service is one of the most expensive on the market, so make sure you really need that level of quality. However, our audit showed that it wasn't worth it. Prices are high. There’s no doubt about that. The more I look at them, the more I think it’s just not worth it. They start at $399 and can go as high as two thousand dollars for the diamond package. 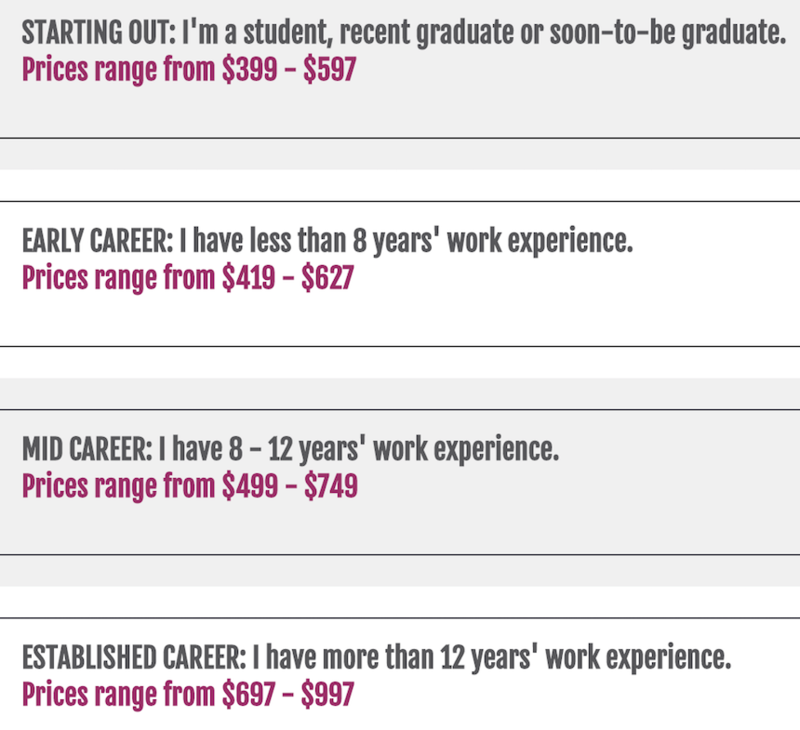 It contains everything you’d ever want from a resume writing service, but the price just doesn’t justify it. At the very least there’s discount coupon codes. Payment is super easy to make. You just choose your package and insert your info, that’s it. They accept Visa, MasterCard, and American Express. No PayPal sadly. Delivery is decent. They always deliver on time and there’s no reason to worry your resume is going to arrive at a later date. As for the times, it depends on the package you choose. However, it takes between 7 and 10 business days to return a completed documents. Their customer service is not bad. You can contact them over phone, e-mail, but there is no a live chat. Chatting with them takes time since you need to enter your name, e-mail and message and wait when they will get in touch. Unfortunately, there is no instant response because their offices are open from Monday to Friday, 9:00 am to 5:00 pm, Australian Eastern Standard Time. Phone call is definitely the preferred method. It is super easy to navigate on their website, even though it is more complex so not all the information could fit on the homepage. Everything necessary is still on the home page so it’s not hard to create an opinion right from the start. Most CVSaviour reviews you will stumble upon are very one sided as the majority of customers that tried their service rated it based on the high prices, which makes sense. A huge part of their clients has to be students that want to start their careers. You can’t just charge them $2000 and expect they will actually be okay with this. I tried the service myself to prove this point. Everything is great, besides the pricing. The quality of the paper I received was not bad. However, not worth the price it had. No mistakes were found and the ideas used were original and intelligently written. Those people know what they’re doing. At the same time, you can get even better quality for a lower price using our top services. The other smaller part of the reviews that are actually positive come from that portion of people for whom money is not a problem. But this is a resume writing service after all, not some luxury private spa. You can’t expect the average student to own that much money before starting their career.